Because your love story is better than the movies. 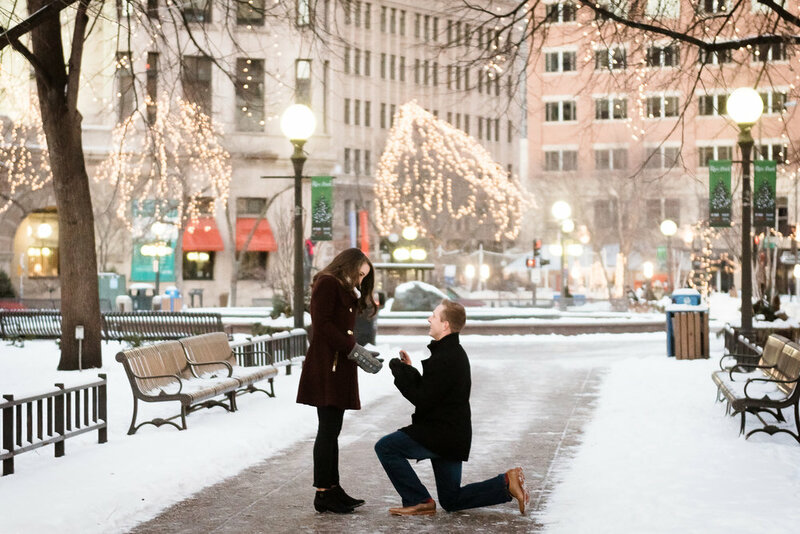 As the Twin Cities most trusted surprise proposal photographers, you can count on our experience + expertise to perfectly capture your once-in-a-lifetime moment. Your love story deserves to be told and we’d love to tell it! Congratulations! You've found the love of your life and you want to propose! 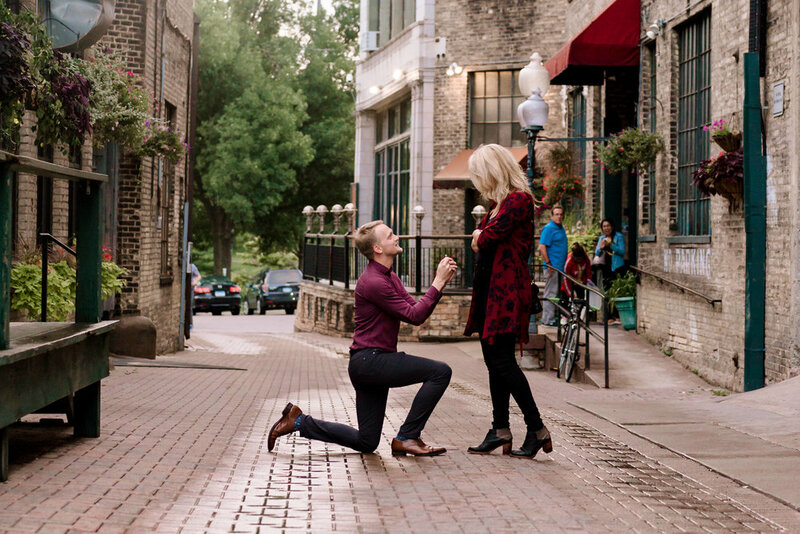 Our Minnesota Surprise Proposal Photography services are available in the Minneapolis/St. Paul Twin Cities Metropolitan area, as well as western Wisconsin. The magic and surprise of a marriage proposal happens only once, and it’s important to have someone who knows exactly how to capture that moment. 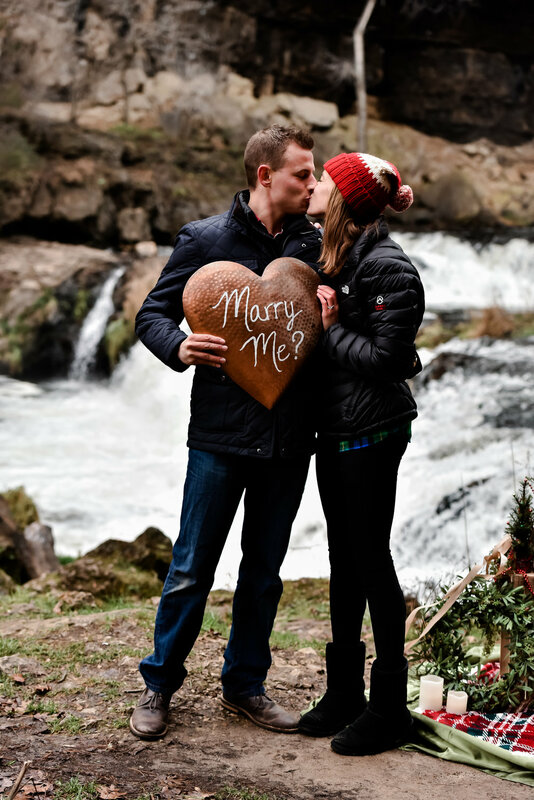 You can count on our experience as Minnesota’s top secret proposal photographers. We use our skills and creative eye to document the big moment beautifully and organically, capturing all of the joy, the tears, the laughs and the kisses. This once-in-a-lifetime moment will be preserved and cherished forever! ….. Anything else you can imagine! We can make it happen! When it comes to popping the question, you want to make it memorable and personalized to the two of you. You know that this once-in-a-lifetime moment is going to be PERFECT -- but you definitely want our help to pull it off. ……. We'd love to help you! 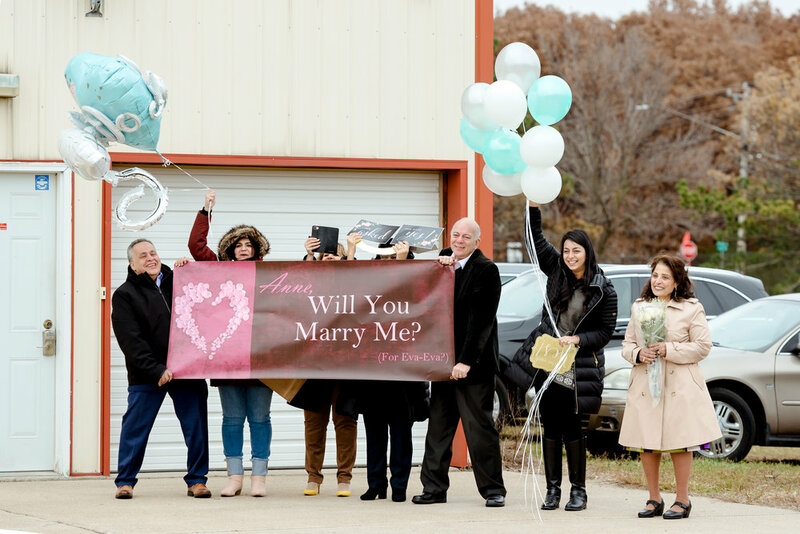 "My Fiancé did an AMAZING job with our proposal! Our first date included a couple hour walk around a city, with beautiful lights and gorgeous views, as we talked and walked hand in hand. He wanted to recreate this, so he surprised me with a nice walk through Minneapolis and on the Stone Arch Bridge, where he had Laura Robinson Photography secretly awaiting our arrival, with roses and candles set up in the perfect spot. We walked hand in hand along the bridge, enjoying the view, and as we approached the flower display, he talked about how this reminded him of our first date...He gave the most adorable speech and got down on one knee and asked! I obviously said YES! And she caught all of it on camera! We absolutely love our photos, and can't thank Laura enough for capturing our special day!"